So much for Square Enix focusing on JRPGs again like its president promised it would. Its two marquis titles, Final Fantasy XV and Kingdom Hearts III, will be absent from E3 next week as confirmed by Producer Shinji Hashimoto to Famitsu. “First I’d like to say that development for Final Fantasy XV is going well,” Hashimoto said. “Internally, we try to ascertain the best timing for revealing new information about Final Fantasy XV to the fans. So when we were going over our promotion plans, we judged that this year’s E3 would not be the best time to exhibit information aboutFinal Fantasy XV. Just for reasons of timing, I suppose. When you skip conventions and break deadlines for nearly a decade, why break the streak? Hashimoto also said that his staff is “eagerly working” on Kingdom Hearts III, but there is nothing new to show this year. This translates into all resources have been pumped into Final Fantasy XV since their reveals last year, including the valuable time of Tetsuya Nomura, who is acting as designer and director of both. It’s a little disappointing, but I suppose Square Enix just needs time to find its groove again before we can expect a routine helping of decent JRPGs. Without these two major hits though, what from Japan does it have to show? All of its other major Japanese games that have been announced for American shores are already in circulation, and unless we get an announcement of Dragon Quest VII for the Nintendo 3DS or Dragon Quest X for the Wii U and PC, Square Enix will be at E3 without any JRPGs. Sad times indeed. Relax though. 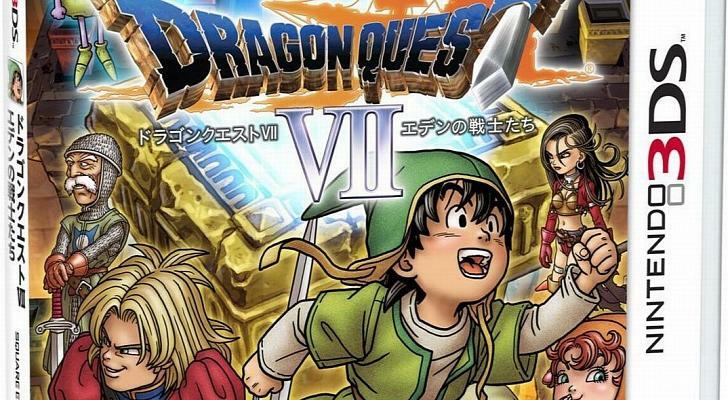 I’m predicting that Dragon Quest VII is going to happen because that Seeds of Salvation trademark in America has gone unaddressed for far too long. Square Enix is also definitely going to announce new content for Final Fantasy XIV as it wants to capitalize on its forward momentum and positive word of mouth. Seriously, this game is really fun. Play it. After that, unless there is a shocking announcement of a new game or miraculous and unlikely surprise visit from Bravely Second, the most we can expect out of Square Enix is the new Tomb Raider and more helpings from its affair with Western games. Oh well, better luck next year. Final Fantasy XV was first announced as Final Fantasy Versus XIII at E3 2006, meaning that its been eight years since we first heard about it. Last year, it was rebranded as Final Fantasy XV and announced for the PlayStation 4 and Xbox One. Kingdom Hearts III will also be available for both consoles if they are still the current generation consoles whenever it gets released.